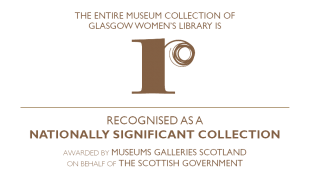 Glasgow Women’s Library staff, volunteers, learners and visitors contributed to the project to come up with our initial list of 371 women. We could have listed many, many more. The selection of the women who make up our 101 animations was driven by several factors, including personal choice of the women voicing the audio recordings and availability of information about the activists. As a result, we may not have included your favourite suffragette or suffragist. Research them, talk about them, write about them, give them a page on Wikipedia, tell us about them! You can contact us on Twitter @womenslibrary with the hashtag #Vote100 and #TheMovingStory, via Facebook, by email at info@womenslibrary.org.uk, or through our website.